Conifers is a specialist short-break respite service for adults with moderate to profound learning disabilities and/or autism. For the carers and families seeking a break, our commitment to delivering high quality care is a guarantee that should provide them with piece of mind when entrusting their loved ones to our care. 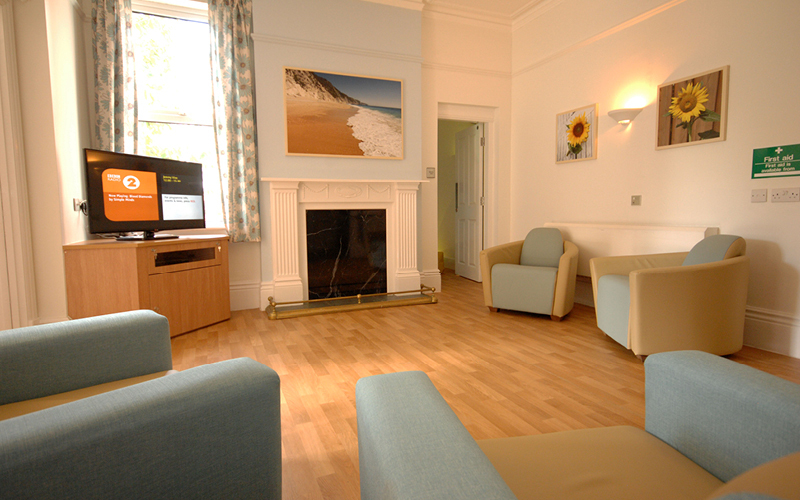 Each guest room is a bright, positive space where individuals can feel safe, cared for and supported. Our guests are encouraged to make their room their own during their stay by bringing favourite items such as family photographs. This helps to promote a feeling of calmness and security. Following an individual assessment, a detailed care plan with up-to-date information, including risk assessment, is put together by our team. Our care plans are then shared with the individual, their family and carer for verification and agreement. We want the individuals in our care to enjoy their break with us. That’s why we offer a variety of activities for our guests to enjoy and to choose from. These include community outings, group activities, sensory therapy, 1:1 activities or just relaxing indoors by listening to music. Individuals are welcome to visit Conifers with their family or carers to familiarise themselves with the environment and meet with members of our team before their stay.